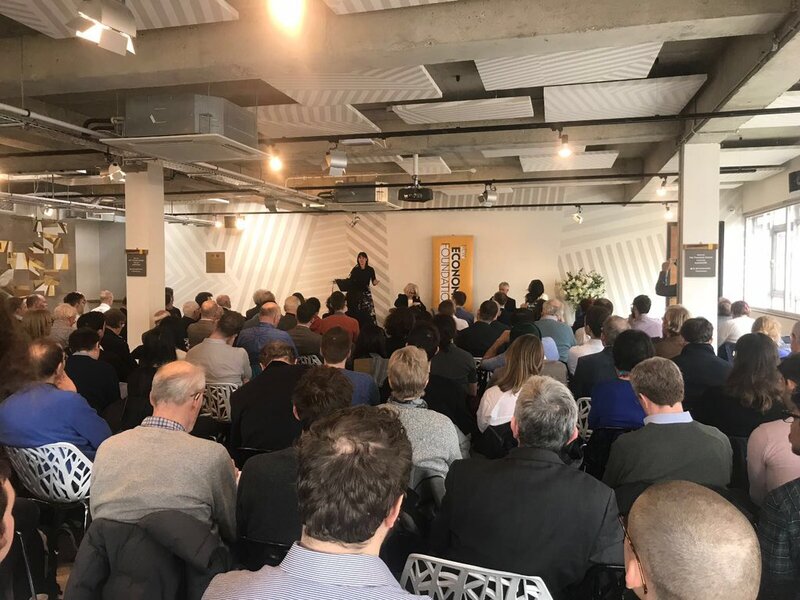 ‘Since 1945 Britain has experienced two models of political economy,’ said Rachel Reeves, MP for Leeds West, launching her new pamphlet, The Everyday Economy, at The Trampery in London on 22 March, an event organised by the New Economics Foundation. ‘The first was Keynesianism, which underpinned the social democratic consensus of the postwar years. The second is the liberal market consensus we know today, underpinned by neo-classical economics’ – and first applied in 1973 in the form of General Pinochet’s ‘radical austerity programme’. Four decades of globalisation later, a ‘super-rich global elite has taken the lion’s share of wealth’ and our societies have become bitterly divided. ‘The financial crash in 2008 marked the beginning of the end,’ she went on. ‘The neoliberal settlement is exhausted. But we need an alternative to replace it with. What might it look like?’ Reeves presents her new pamphlet as ‘a contribution to this collective effort’. What is the everyday economy? The economy that Reeves wants to talk about is ‘an economy that lies unnoticed: the man stacking supermarket shelves at 4am this morning, taking the night bus home. The cleaner hoovering at 5am. The mother of three taking her children to school and working the till at Tesco during school hours. The woman caring for dementia patients in a care home. The bus driver on his late shift … Ordinary, taken for granted, hard work by under-appreciated people often earning a meagre amount of money and struggling to get by. … This is the forgotten and neglected everyday economy.’ The Centre for Research on Socio-Cultural Change at Manchester University calculates it employs one third of the workforce of England and Wales. What would an agenda for the everyday economy look like? Reeves focused on three areas of policy which ‘add up to a Labour agenda for the everyday economy’. First, work and wages. People need more control in their workplace, stronger rights to collective bargaining, higher wages, and investment in technological innovation and skills. Second, families and households. Austerity, low wages and the burdens of care are putting millions of families under pressure. We need to protect services that support families and do much more to eradicate child poverty, which is rising. Finally, place. Britain is one of the most centralised countries in Europe. We must devolve decision making, resources and tax-raising powers to cities, towns and counties. Involving local communities and their insights will lead to better policy, and more responsive and cost-effective public services. Guardian economics editor Larry Elliott, also responding, referred to the ‘vacuum on the left in terms of new economic thinking’. He had thought 2008 would be the moment for the left to seize control of the discussion but the left wasn’t ready – unlike the Chicago economists in 1973. At present ‘we could only say we will do austerity but a bit more kindly’. Reeves mentioned the need for ‘more imaginative ownership models’. Returns go to owners of capital, she said. Take Uber drivers, who get a meagre wage not a proper return on their labour and capital (their cars). ‘There is a strong case for collective ownership of assets through collectives and cooperatives.’ Elliott suggested that owners of AI should pay tax into a sovereign wealth fund. Picking up on Reeves’ third point, Elliott also talked about the need for devolution to local level. Resilience and pushback against the global capitalist model is emerging at local level, and local people need some control over finances, but at present very little revenue is raised locally. Reeves mentioned a number of local initiatives: Greater Manchester Pension Fund, which invests in local infrastructure and housing schemes; Nottingham’s Robin Hood Energy to tackle fuel poverty and provide local people with competitively priced gas and electricity; Leeds’ Neighbourhood Networks, which allow elderly people to live independent lives while contributing to their communities; and Preston’s efforts to build up the local economy by spending locally. Pettifor also drew attention to the need to tackle local/global issues. She cited a Devon village where the council put a local teashop out to tender and a local person was beaten by a $14 billion US company. The local economy can’t compete with huge global companies, she said. 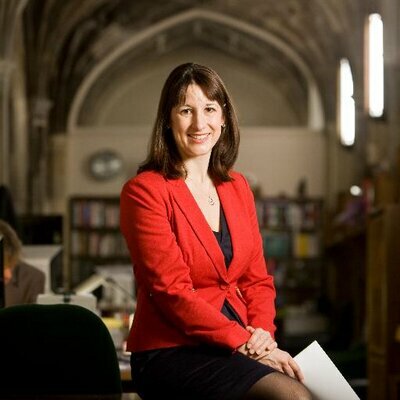 Rachel Reeves’ full speech, ‘A radical overhaul’, can be found here. To download The Everyday Economy, click here. This event was attended by Caroline Hartnell, who convenes the Rethinking Poverty blog. Does she still think that? And if so, why? “The price of our affluence has been the loss of economic security…”. So people had job security in the 1800s did they? News to me. About which one to think? A few months ago I began following a Economics related twitter feed and then every similar feed until I was following half a dozen or more. After a while they began to remind me of a CBC radio comedy show called “Madly Off In All Directions” after a Stephen Leacock line about a man jumping on his horse and riding off in all directions.